LONDON — Billionaire entrepreneur Richard Branson started Virgin Atlantic in 1984, and it has grown to become the United Kingdom’s second-largest airline. “I can still remember the day we started when Lord King from British Airways forecasted our early demise, claiming we were ‘too old to rock n roll, too young to fly.’ Well together we proved how wrong he was,” Branson once wrote in a letter to workers. Virgin launched service to San Francisco International Airport in 1994 when I was working at The Chronicle, covering the airlines as a business writer. “San Francisco was always on our list of great cities in the world we wanted to fly to,” Branson said at the time. 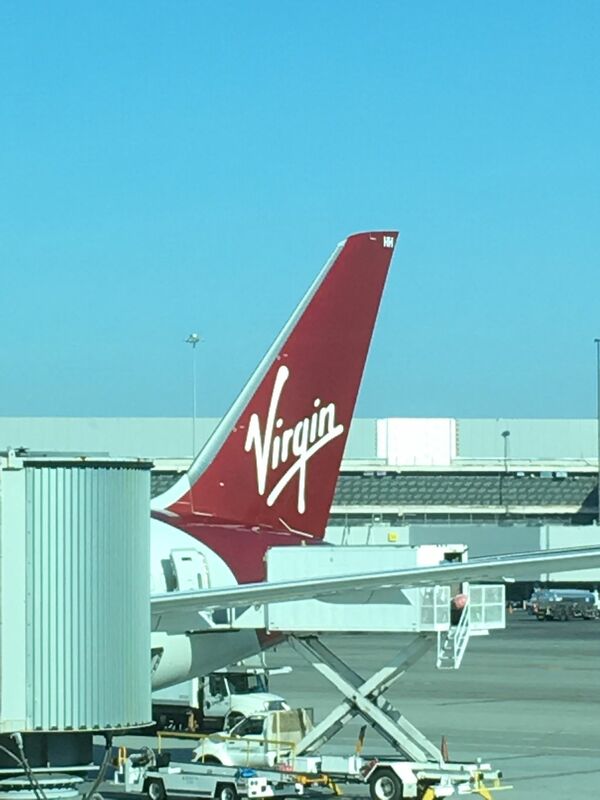 For the launch of Virgin’s SFO flights, I flew to London to interview Richard Branson at his mansion/office in the Holland Park neighborhood, and wrote a lengthly profile about him and the airline. I brought my wife, Shannon, along, and it was a delightful trip. (Sir Richard, now 68, was not a “sir” at the time; he was not knighted by Queen Elizabeth II until 1999). 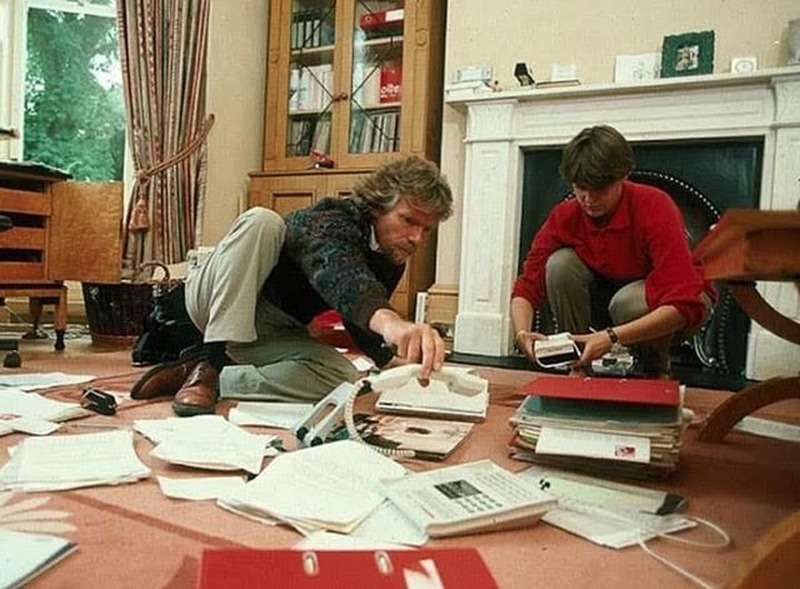 While in London, Branson was a consummate host, showing us some fine restaurants and nightspots, including Virgin’s Roof Gardens in Kensington. I filed my report on a Radio Shack TRS-80 Model 100, the first popular notebook computer. 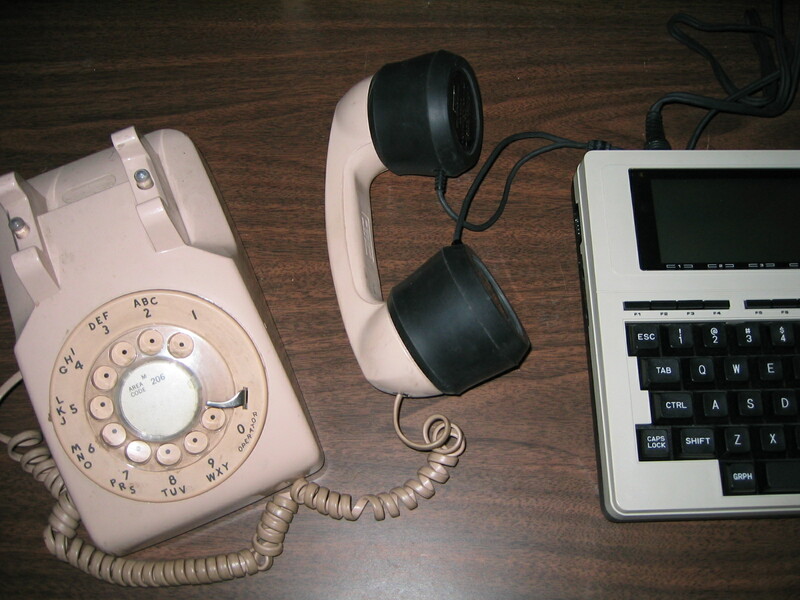 The portable computer — affectionately called a “Trash 80” — gained a loyal following among reporters, as PCWorld explains. Filing a story from the field required cramming a wired-phone handset into an acoustic coupler for the slow transmission to the newsroom — even more of a challenge from London. When we flew back to SFO, Richard invited me to sit in the jump-seat of the 747 for takeoff from Heathrow — a memorable experience. (Yes, that was legal back then). 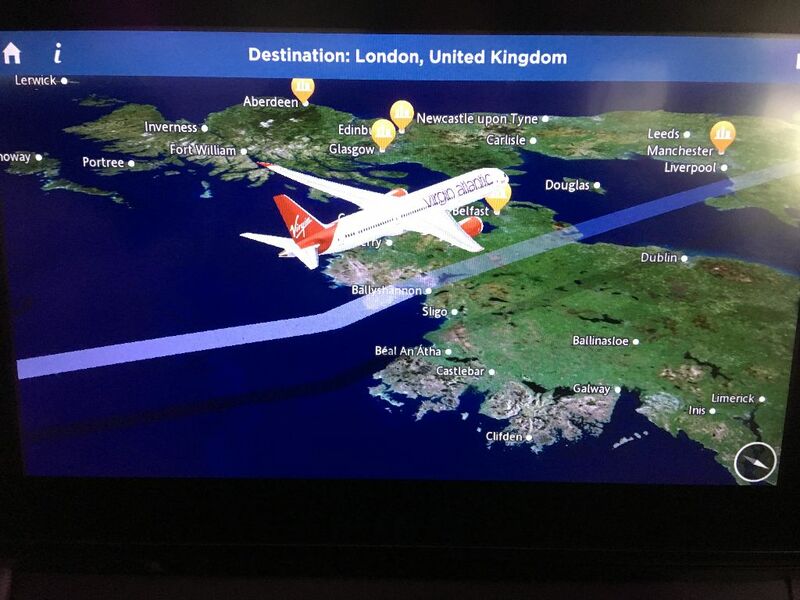 Since our first Virgin Atlantic flight in 1994, Shannon and I have returned to London around half a dozen times. When our son was an infant, we flew there for the Christmas vacation break, and he slept in a bassinet attached to the bulkhead. We rented a flat and shopped at Harrod’s Food Hall for our festive meals. This time, I enjoyed my 10-hour flight from SFO to Heathrow on Virgin Flight #20 aboard a new Boeing 787 Dreamliner in “premium” economy. Virgin pioneered the concept of an upscale economy class seat , now copied by most other airlines on international flights. It includes dedicated check-in; amenity kits; extra legroom; a footrest and headrest; a glass of bubbly as you board; and a meal served on china with “proper” cutlery. I’m a big fan of Dreamliner aircraft. It’s a spacious cabin, with higher ceilings, LED “mood” lighting, windows that dim at a touch of a button, and most important, a better air filtration system and more humidity than comparable planes, which greatly reduces jet lag. (The in-cabin air pressure is similar to a plane of about 6,000 feet, not 35,000 feet). The 787 also has a great in-flight entertainment system and Wi-Fi. I was able to follow the Dodgers-Brewers NLCS game in real-time and check email. I landed on time and rode in a sedan into London, thanks to Alex and Coruss Ltd. London is like an old friend, and I’m looking forward to the week ahead. I’ll file a few reports. Have a great week!